Digital buyers are devouring webinar content with an increasingly voracious appetite. These rich media assets are delivering highly engaged and measurable audiences, and yet many webinar strategies are still failing to actualize marketing's fabled contribution to revenue. This is often the result of a siloed strategy that is difficult to manage centrally, scale efficiently and measure properly. 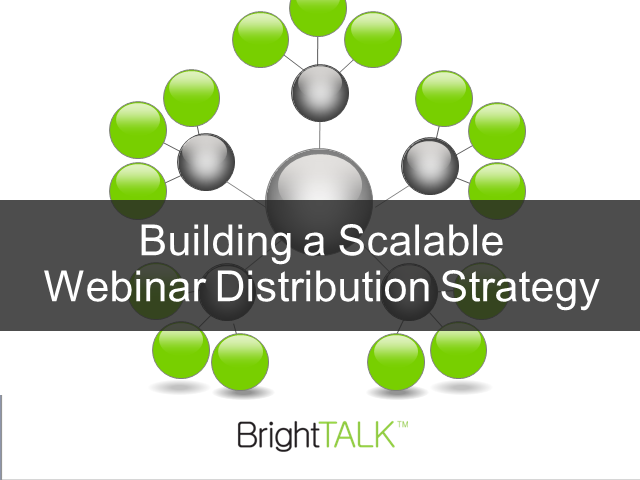 Join David Pitta, Sr. Marketing Manager of Demand Generation at BrightTALK, as he lays out his distribution strategy that leverages over 400 live and on-demand webinars across 50 channels to fuel a global sales team.